This movie looks to be interesting, not just because Olivia Wilde is in it (that’s enough to get my attention), but also because the sci-fi concept is compelling: a society where time literally is money. If the movie is as interesting as the concept, it’ll be a winner. Timberlake and Wilde star in the upcoming Andrew Niccol sci-fi thriller, “In Time,” playing mother and son. Which makes sense in the context: the film is set in a world in which the aging gene has been halted at the age of 25, where the rich buy and trade the world’s new currency, time itself, so that they stay forever young — while the poor die at the hands of their robbed clocks. Wilde and Timberlake, low down on the socio-economic ladder, have to fight for every minute they can; Wilde’s character, Rachel, gave birth to Timberlake’s Will and was able to survive until he caught up to her in age, but her time, it seems, is finally running out. On the flip side, Will is gifted 100 years by an “old” man who no longer wants to live — setting off wild accusations and a fight for survival. The film hits theaters October 28th. What is the Roadmap to a Cure? Simply, it’s a chart that identifies what we know about tinnitus right now and what additional information we need so that we can make progress in developing a cure. The Roadmap is a sequence of steps along four paths- A, B, C & D- that begins with finding out what is responsible for producing tinnitus and ends with a successful tinnitus treatment. Path A leads us to identify where the problem is in the brain. 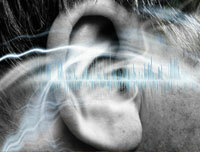 Path B will determine the underlying mechanism that causes tinnitus. Path C will lead us to develop a general therapy for tinnitus and Path D leads us to customizing the therapy or therapies for individual tinnitus patients. We have highlighted some recent ATA-funded studies and placed them on the various paths they fit on the Roadmap to showcase the broad scope of tinnitus research supported by ATA. To learn more about ATA’s Roadmap to a Cure, visit ATA.org/research/roadmap-cure. Word is out that Star Trek: The Next Generation is being remastered for high-definition Blu-ray, set for release in 2012. According to a new report, the long-awaited Star Trek: The Next Generation in HD project is starting to gear up at CBS with a possible “Best of” pack of four episodes on Blu-ray coming this year and more to follow in 2012. See below for more on TNG in HD. Multiple sources I spoke with at Comic-Con have also confirmed our report from earlier this year that CBS is hard at work on Star Trek: The Next Generation – Remastered for Blu-ray release starting sometime in 2012. The latest word is that 4 test episodes are currently being worked on for release as a sampler/demo BD disc of the project, and that sampler disc will somehow be available to fans by the end of this year. It is worth noting that 2012 is the 25th anniversary of Star Trek: The Next Generation. The remastered project for the Star Trek was released in 2006, just in time for the 40th anniversary. TrekMovie will continue to monitor this very exciting project and provide updates when possible. It’s a question that has vexed our entire civilization. But now the definitive, final answer has been revealed. Kinda.